With the judicial verdict on the Babri Masjid-Ram Janambhoomi title suit expected on September 30, the Ayodhya issue could again become a hot political issue. Political parties, including the Congress and the Bharatiya Janata Party, are keeping their fingers crossed over the verdict's possible fallout, an issue that has engaged Prime Minister Manmohan Singh's attention. Let's go back in time to see how it all began. It sought to gain the right over the chabootra (raised platform) for the plaintiff, Raghubar Das. The plantiff, who described himself as the Janmasthan mahant, sought permission to erect a temple on the chabootra, which was then popularly accepted as the birthplace of Lord Ram. What was the outcome of that case? Das then appealed to Faizabad's district judge, Colonel J E A Chambier, who, after a spot inspection on March 17, 1886, dismissed the appeal on the same grounds. The Englishman also struck down the part of the sub-judge's verdict which conceded the property to Das. The matter went up to Oudh Judicial Commissioner W Young who, while rejecting Das's plea, observed in his judgment dated November 1, 1886: 'This spot is situated within the precincts of the grounds surrounding a mosque erected some 350 years ago, owing to the bigotry and tyranny of the emperor who purposely chose this holy spot, according to Hindu legend, as the site of his mosque. Upholding the earlier decisions, the judicial commissioner only disputed the mahant's claim to ownership of the chabootra. With the dismissal of this appeal, the Hindus' first legal battle to gain control over the disputed area came to an end. Some damage was caused to one of the three domes of the mosque; it was later repaired at government cost. Thereafter, all was quiet until the night of December 22, 1949, when the idol of Lord Ram was placed in the mosque, following which hundreds of Hindus arrived and started offering prayers. Even though the crowds were pushed back and the mosque's gates were padlocked, the deity remained inside. For some time, it seemed everyone was satisfied with the status quo and, by December 29, 1949, the additional city magistrate ordered attachment of the property. Then local municipal board chairman Priya Dutt Ram was appointed the receiver. 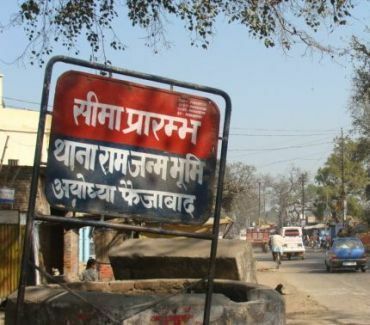 On January 16, 1950, a suit was filed by a local resident, Gopal Singh Visharad, before Faizabad's civil judge, seeking permission to offer prayers inside the mosque where the deity of Lord Ram had been placed. Civil judge N N Chadha passed an interim injunction, with the rider that the public could not be allowed to freely offer puja or receive darshan. But the local priest was allowed to perform the daily bhog. In 1955, a division bench of the Allahabad high court ruled that the status quo needed to be maintained, but expressed the need for a final decision to be taken within six months, 'in view of the seriousness of the matter.' But nothing happened. Simultaneously, VHP leaders S N Katju, Deoki Nandan Agarwal, both of whom were former Allahabad high court judges, and Shirish Chandra Dikshit, former UP director general of police, met the district magistrate, seeking permission for Lord Ram's darshan. 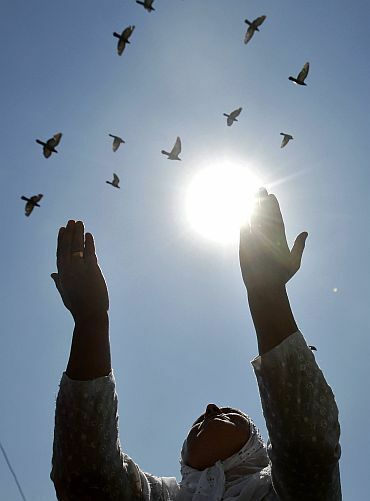 He also added that the 'heavens will not fall if the locks of the gates are removed.' 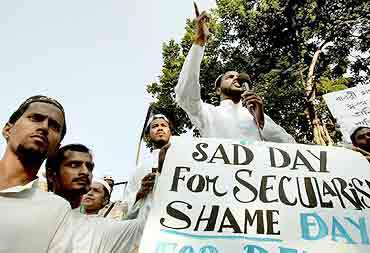 But that did not hold true; the order sparked off communal clashes. 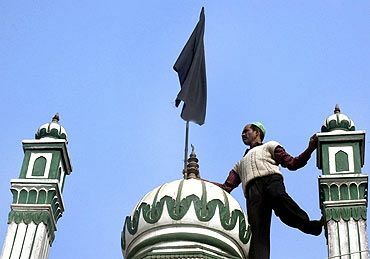 Following this, the Sunni Waqf Board and the Babri Masjid Action Committee moved the Allahabad high court against the district judge's order. However, the order was not stayed. Meanwhile, all cases pertaining to the Ayodhya dispute were referred to the court's Lucknow bench. 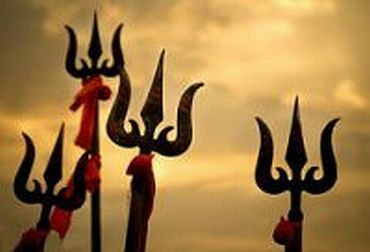 The shilanyas in 1989 further aggravated the issue. 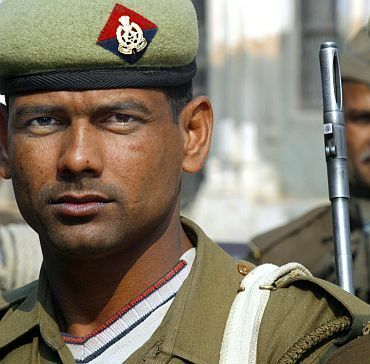 The police firing ordered by then Uttar Pradesh chief minister Mulayam Singh Yadav's government on the kar sevaks in 1990 polarised Hindu votes in favour of the Bharatiya Janata Party and brought Kalyan Singh to power in 1991. Kalyan Singh ordered the acquisition of 2.75 acres of land around the mosque in a bid to show his party's seriousness towards building the temple. All hell broke loose on December 6, 1992 in Ayodhya, with violent Hindu mobs storming the 16th century mosque built by the first Mughal emperor Babur's army commander Mir Baqi. 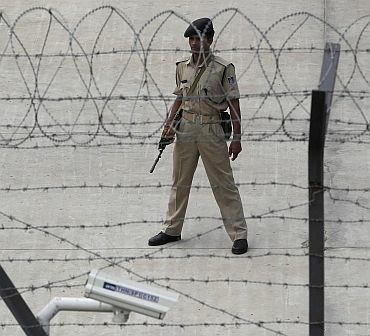 Even as security personnel stood by that fateful day. the mosque was torn down by kar sevaks even as the top BJP leadership -- including L K Advani -- watched. 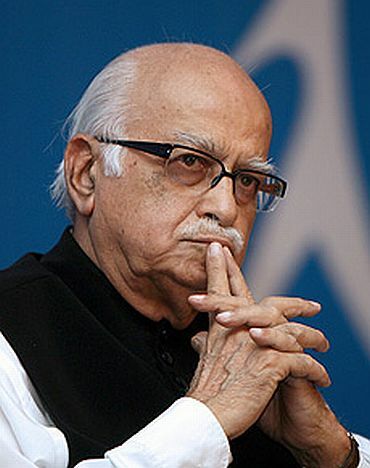 Advani later expressed sorrow at the demolition -- but it was clear to all that the forces unleashed by his rath yatra in favour of the temple in 1990 would be satisfied with nothing else. The demolition of the mosque on December 6, 1992, led to a contempt of court petition against the UP government. 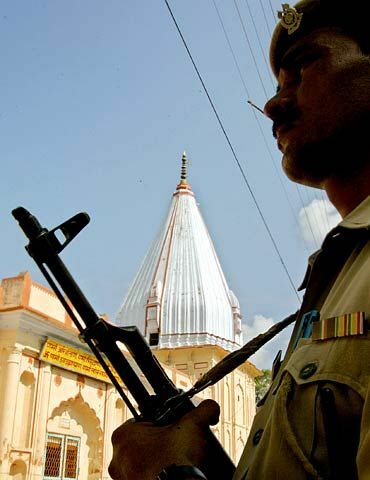 Then chief minister Kalyan Singh had given the court an undertaking that the mosque would be protected. 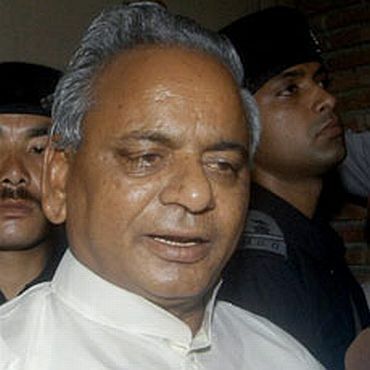 Kalyan Singh was later awarded a day's imprisonment. His government had been dismissed hours after the demolition. A few days after the demolition, the central government headed by then prime minister P V Narasimha Rao issued an ordinance acquiring 67 acres of land in and around the disputed site. The Babri Masjid's demolition resulted in horrific riots across the country. Hundreds of people were murdered. Mumbai and Surat were particularly affected by the violence, scarring thousands of people. 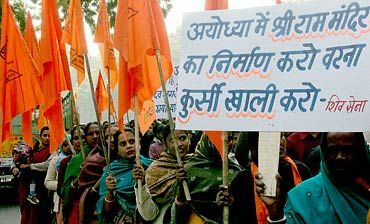 In 1994, the Supreme Court ordered the abatement of all pending suits and nullified all interim orders issued by various courts in the Ayodhya-related cases. The Supreme Court ordered that the land remain in the central government's custody and the status quo be maintained until the Lucknow bench disposed of the writ petition. 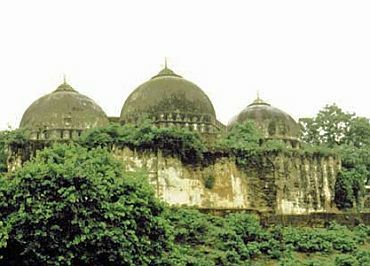 This petition aimed to determine whether a Hindu temple had existed on the disputed site prior to the construction of the Babri Masjid and whether the mosque was built on the debris of a temple. A former high court judge, Justice Liberhan called former prime minister Atal Bihari Vajpayee, Advani and Dr Joshi 'pseudo-moderates' and condemned them for their role in the demolition. 'It stands established beyond doubt that the events of the day were neither spontaneous nor unplanned nor an unforeseen overflowing of the people's emotion, nor the result of a foreign conspiracy as some overly imaginative people have tried to suggest,' the 1,029-page report said. About Vajpayee, Advani and Dr Joshi, the Liberhan report said: 'These leaders have violated the trust of the people and have allowed their actions to be dictated not by the voters but by a small group of individuals who have used them to implement agendas unsanctioned by the will of the common person. When is the verdict in the case due? The special full bench of the Lucknow bench of the Allahabad high court, comprising Justice S U Khan, Justice Sudhir Agarwal and Justice Dharmveer Sharma, was slated to deliver the verdict at 3.30 pm on September 24. However, the Supreme Court on September 23 put off by a week its hearing into a plea to defer the Ayodhya title verdict by the Lucknow bench of the Allahabad high court. Supreme Court judge, Justice R V Raveendran, gave this order while hearing the petition filed by retired bureaucrat Ramesh Chand Tripathi to defer the title suit verdict. In the petition filed through advocate Sunil Jain, Tripathi had cited several reasons for deferment of the verdict, which he said would be in "public interest" in view of the apprehension of communal flareup, upcoming Commonwealth Games, elections in Bihar and violence in Kashmir Valley and Naxal-hit states. The Supreme Court on September 28 dropped Tripathi's plea and posted the date of the verdict in the case for September 30, 2010.